Reiki is antithetical to biblical Christianity. Channeling is a way of communicating with spirits to obtain information not otherwise accessible. It is denounced in the Bible as sorcery, mediumship, and spiritism (Lev. 19:26, 31; 20:6; Deut. 18:9–14; Acts 19:19; Gal. 5:20; Rev. 21:8). Contacting spirit guides is dangerous spiritually, physically, and emotionally (1 Peter 5:8). Reiki practitioners seek what is called the Kundalini experience… This pinnacle of psychic experiences is known to cause severe emotional and psychological disturbances. To put it plainly, one cannot complement the Christian faith with a competing religious system that presupposes a completely different worldview. One cannot serve two masters (Matt 6:24), and therefore one cannot consistently affirm the biblical faith and Reiki. While Reiki has achieved a level of acceptance in the post-Christian west, it remains contrary to a biblically informed worldview. McClenton, Rhonda J., Spirits of Lesser Gods: A Critical Examination of Reiki and Christ-Centered Healing, (Boca Raton: Dissertation.com, 2005), 29. Hoskin, Liz, Reiki: An Introduction to Reiki, (Charlotte: CreateSpace, 2015), 10. Honervogt, Tanmaya, The Power of Reiki: An Ancient Hands-On Healing Technique, (New York: Henry Holt & Co., 1998), 22. This author, as do many others, attempt to identify the practice of Reiki in ancient Sanskrit texts. However, such an attempt is anachronistic and clearly false as Usui’s inability to find anything in the sutras was the impetus to his alleged ascension up Mt. Kurama. Lübeck, Walter, Petter, Frank A., Rand, William L., The Spirit of Reiki: The Complete Handbook of the Reiki System, (Twin Lakes: Lotus Press, 2001), 13. Ibid. There is a considerable amount of mythology that has been propagated regarding Usui. The common claims that Usui was a Christian minister who taught at a Christian school, as well as the claim that he had achieve a doctorate in theology from the Univ. of Chicago are all untrue. See also McClenton, Spirits of Lesser Gods, 36-38. Bevell, Brett, Reiki for Spiritual Healing, (New York: Random House, 2009), 3. Boräng, Kajsa Krishni, Principles of Reiki: What It Is & How It Works, Rev. Ed., (Philadelphia: Slinging Dragon, 2013), 21. Ibid., 22. Usui, Makao, Petter, Frank A., The Original Reiki Handbook of Dr. Mikao Usui, 4th Ed., (Twin Lakes: Lotus Press, 2003), 17-23. Stewart, G., Basic Questions on Alternative Medicine: What is Good and What is Not?, (Grand Rapids: Kregel Pub., 1998), 62. Boräng, Principles of Reiki, 23. 2018. 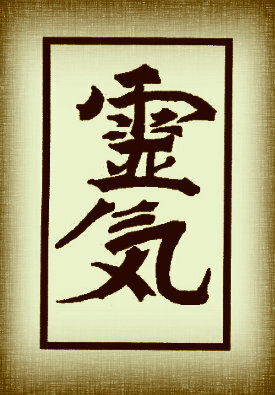 “What is Reiki?,” The International Center for Reiki, Traininghttp://www.reiki.org/faq/whatisreiki.html. Koda, Katalin, Sacred Path of Reiki: Healing as a Spiritual Discipline, (Woodbury: Llewellyn Pub., 2008), 205. “Pantheism is the belief that God and the universe are identical.” Cross, F. L., & Livingstone, E. A., Eds., The Oxford dictionary of the Christian Church, 3rd Ed., (New York: Oxford University Press, 2005), 1223. Panentheism is “The belief that the Being of God includes and penetrates the whole universe, so that every part of it exists in Him, but…that His Being is more than, and is not exhausted by, the universe.” Ibid., 1221. E.g., Gen 1:1; 1 Cor 8:6. Brown, Candy G., Healing Gods: Complementary and Alternative Medicine in Christian America, (New York: Oxford Univ. Press), 2013. 78.O’ Mathuna, Donal, Larimore, Walt, Alternative Medicine, Updated & Expanded Ed., (Grand Rapids: Zondervan, 2006), 254.